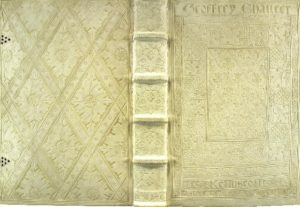 William Morris designed an original, blind-tooled pigskin binding over oak boards, executed by the Doves Bindery. 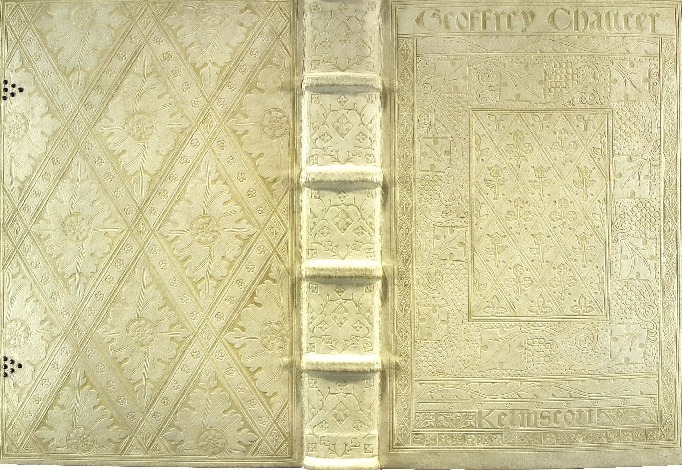 Pigskin binding designed by William Morris, 1896. Bridwell Library Special Collections, Perkins School of Theology, Southern Methodist University.